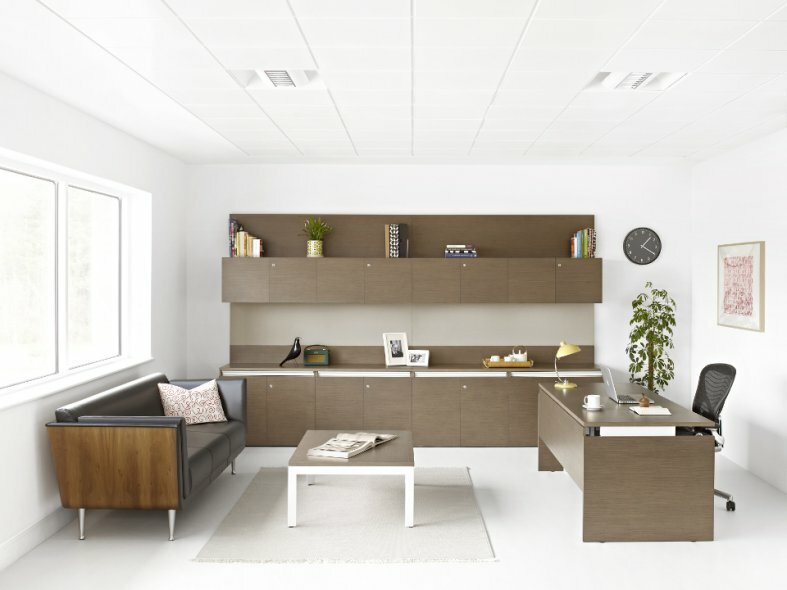 Layout Studio is an adaptive office system that helps you to make more of any space. Beautifully designed and carefully crafted, every detail is finished to the highest standard. Developed collaboratively by our international R&D teams, Layout Studio can be applied throughout a workspace to give complete consistency. It uses innovative components and a wide range of finishes and materials to work in harmony with any space. 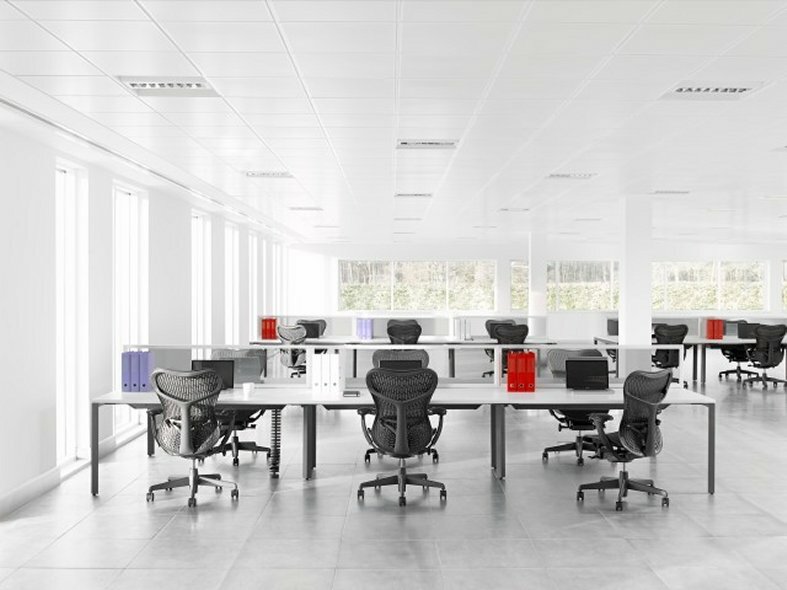 Layout Studio is a system of furnishings, it functions comfortably in all areas -- from open-plan environments to private spaces -- wherever you are, whatever your working style and whatever the task. 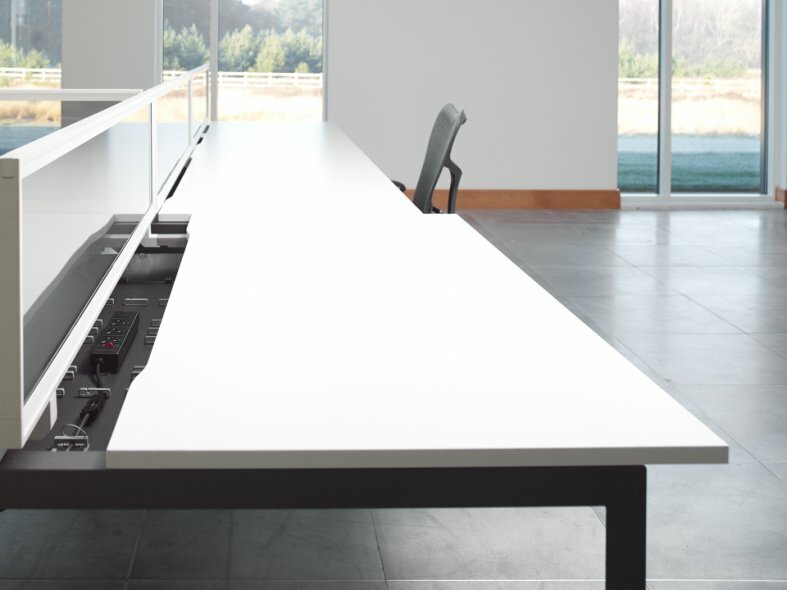 Desks can be tailored to different shapes and sizes. 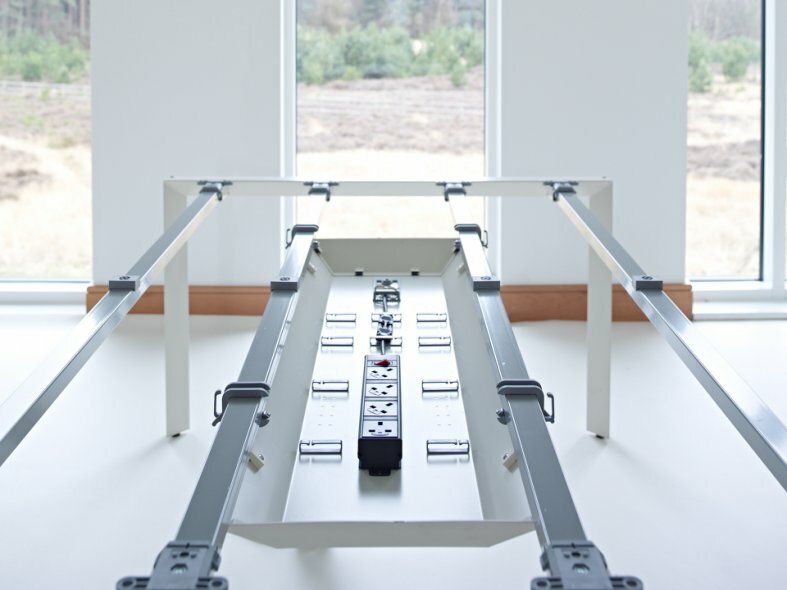 Leg heights are adjustable and work surfaces can adapt to support technological needs. Our team of engineers had to overcome significant complexities to create a simple design using fewer components; the end result reduces build time, material, and cost. And we've made sure disassembly is easy so the system can be effectively reused. Available across six continents, Layout Studio brings harmony to workplaces, wherever they're located.